Hot flashes are one of the most common symptoms of perimenopause and menopause. If you've never experienced them, the unexpected and sudden bursts of heat can be overwhelming. Maintaining hormonal balance is the best way to ease the severity of these unwanted episodes. Read on to learn more about hot flashes and how they feel. A hot flash is a sensation of intense heat, sweating, and rapid heartbeat that often causes the skin of the face and neck to appear flushed. They generally begin with heat in the face or chest and eventually spread to the rest of the body. The experience, duration, and intensity varies from woman to woman. Are Hot Flashes Different for Every Woman? Not necessarily, but the frequency and intensity of hot flashes do vary among women. 75% of Caucasian women experience hot flashes one year before reaching menopause. On average, 85% of women experience hot flashes for more than one year. Around 53% of African American women experience hot flashes during perimenopause, less than Caucasian women. It varies for several reasons, including body mass index, menstrual cycle characteristics, and medical history. Mild. These flashes are barely noticeable and don't interfere with daily routine, normally lasting less than five minutes. Moderate. These episodes are more intense and noticeable, often including a bothersome feeling of heat in the upper body and irregular heartbeat. Severe. These intense episodes force women to seek immediate relief. They consist of profuse sweating, cold chills, and dizziness, among other symptoms. Hot flashes primarily occur when estrogen levels decrease, most commonly during menopause. As a result, the hypothalamus falsely detects an increase in body temperature, and the body reacts to cool it down. Blood vessels near the surface of the skin then dilate to release heat and sweat glands open, causing a hot flash episode. Other factors, such as stress and anxiety, can increase body temperature. Stress can contribute to hormonal imbalance as well. Hot flashes can feel overwhelming and extremely uncomfortable, but there are many ways women can manage them. There are several approaches women can take if their hot flashes become unbearable. The most basic method for handling hot flashes is to maintain a healthy body by eating a well-balanced diet and exercising regularly. Exercise. Regular physical activity has been shown to improve endurance and mental well-being, contributing to higher tolerance of hot flashes. Incorporate a dance class, cycling, or a daily walk at lunch into your routine. Exercise gets the blood evenly flowing throughout your body and improves overall health. Eat phytoestrogenic foods. Soy, legumes, chickpeas, and cherries all contain estrogen-like compounds that can help you regain hormonal balance. Recognize your triggers. 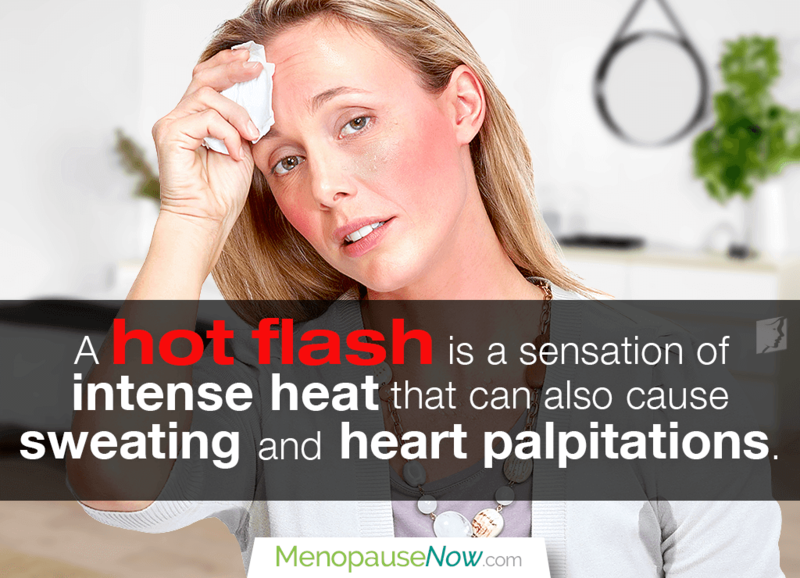 Many women find that spicy foods, hot drinks, or certain stressful situations can precipitate a hot flash. Identifying your triggers can help you avoid them. In addition, alternative medicines can be a more direct way to balance hormone levels. For example, herbal remedies like black cohosh can help to restore balanced estrogen levels and may reduce the frequency of hot flashes. A combination of both is generally the most effective method of managing hot flashes. While healthy lifestyle choices are critical, hormonal balance is central to effectively treating hot flashes. The best methods are often those that combine healthy lifestyle approaches and alternative remedies. Click on the following link to find the best treatments for hot flashes currently available.